It's like I dipped my fingers in gold! 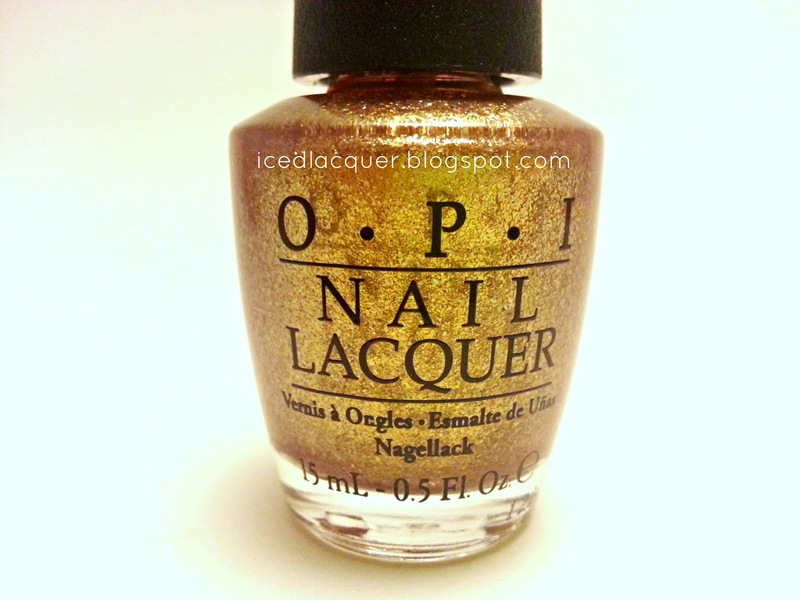 OPI - Goldeneye. There's not a lot to say about this polish, other than that it's amazing. No, amazing isn't a good enough description... it is INCREDIBLE. I honestly feel like my nails have been coated in a layer of gold. It's so luxurious! Goldeneye is a dense foil made up of several different shades of gold flakes. The variety in the different shades of gold adds so much interest and dimension to this! There isn't a speck of traditional glitter in this and yet somehow it sparkles like crazy. Magic, I say! I used three thin coats and finished it with Sally Hansen Diamond Flash, even though the polish itself dried fairly quickly. Thank you! It totally is!